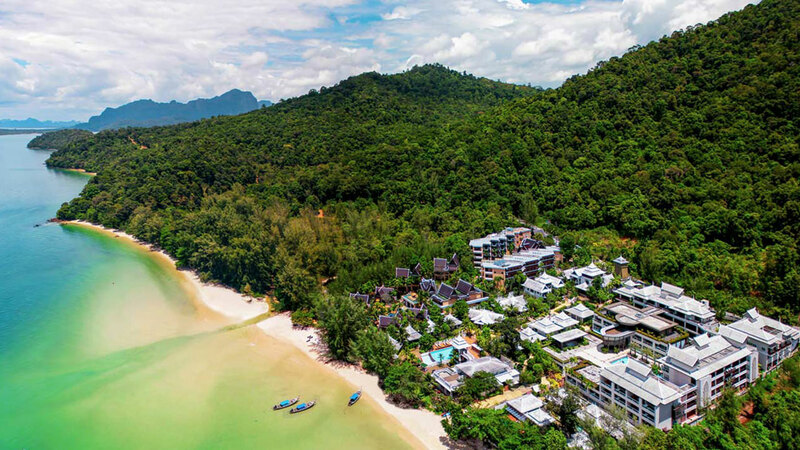 Many of Krabi Beaches and Krabi Islands feature shimmering stretches of sand lapped by calm, blue seas, backed by vine covered limestone cliffs, vertical walls of rock and with impossible overhangs. If you are planning to get married, or renew your vows, let our team of experienced professionals, plan and arrange your wedding with Thailand’s leading specialists in romantic ceremonies, we guarantee you the most memorable experience for both you and your love ones. Let's us arrange you full details of a wedding so special that you can telling your grandchildren about it on the day of your Krabi Wedding Packages. The perfect setting to realize the dream of your own beach, garden, island, waterfall, Buddhist Temple, Private Villa, sunset wedding, sunrise beach, on Yacht or any place on your request and tropical honeymoon with Thailand’s leading specialists in romantic beach weddings. Thai Wedding Packages : Thai Wedding Ceremony is the beautiful and meaningful ceremony according to Thai people culture open all religious all visitor from worldwide to touch the good feeling and impressing with our Thai culture. Western Non Religious Style : Not only your mother home town can possible doing Western Wedding Ceremony but our Thailand or Siam can make your dream wedding come true by the beautiful venue set up with lots of flower on it as well. Buddhist Blessing Ceremony : Beach at Railay Bay will be your Blessing Ceremony located for your blessing day to touch the target of good luck good love and good life after participate in this Blessing Ceremony by Monk. 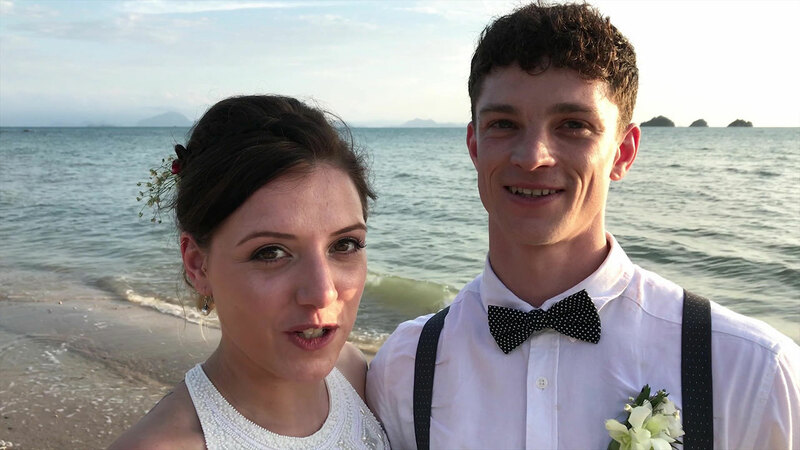 Browse our Krabi Wedding Packages Showcase - Married Couple at Krabi, Thailand. 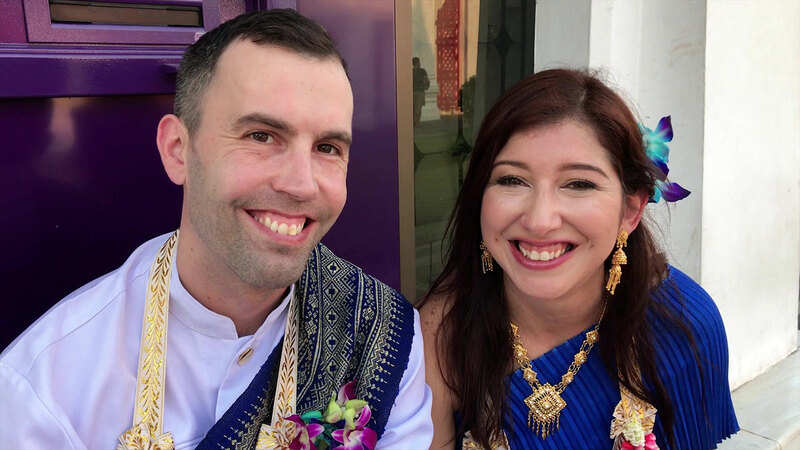 We decided to get married in Thailand as we are frequent visitors and love the country. We chose this company because of the reviews and of course the variety of packages on offer. We were slightly worried as we were only communicating by email and it wasn't until the week before the wedding that we met a representative from the company. This put our mind at rest as there was paperwork that we hadn't completed for the embassy but this was sorted for us. We then met up with Noi who was our planner the day before the wedding. We met at the Hotel at dinner time and he stayed with us until about 5-6 pm going through everything. He drove us to Krabi town to find a few bits that we needed, he also arranged for the wedding dress to be taken to be steamed and delivered back to the hotel on the morning of the wedding. Nothing was too much trouble and we could adapt any package to suit our needs. The whole day went perfect , the photographers , videographer , make up team , hairdressers, everyone was organised and went above and beyond our expectations, we would certainly recommend this company to anyone and be assured that your day will be perfect as was ours. Our wedding day was truly the most amazing day of our lives. Thanks to Noi and the wedding team, they made everything better than perfect. The whole experience was amazing from start to finish and was much better than we could ever have dreamt of. Everybody was so friendly and the hair and beauty ladies were fabulous. We absolutely love our photos too. 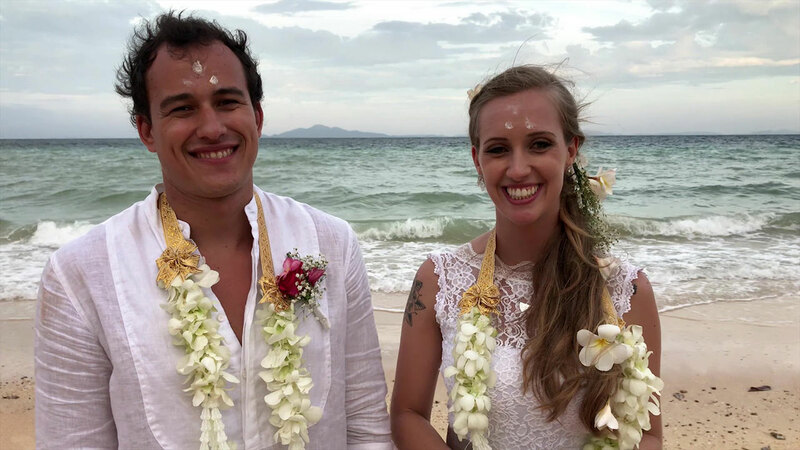 We could not be happier and would recommend this experience to anybody that would like to get married in Thailand. Thank you so much!